Yes a real live cookbook to be published in the US by a real publishing house and due for release this coming holiday season. 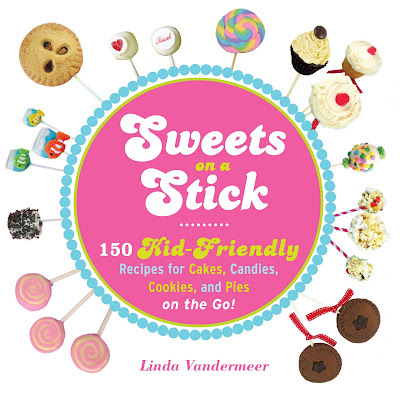 It's focused on making sweet treats on a stick with your kids and there are a stack of new ideas and recipes that I think everyone will love, as well as some of my favorites from the blog modified for kids. Some of the pictures inside are soooo cute if I do say so myself and I can't wait to share more information with you. 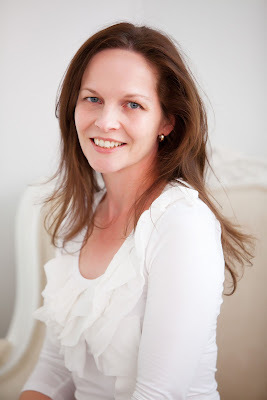 and while I'm on the self promotion here is a picture of me taken by Naomi V Photography who is totally amazing. As well as headshots like this, Naomi is available for weddings, commercial work, family portraits and newborn shots. You might remember her she took the photo's at the Magical Forrest Tea Party and Ava's Tea Party last year. OK.......I'm always a bit embarrassed about promoting myself so now that I'm blushing a bit I'm off to bake a batch of Christmas in July cookies for a friend. Wow Linda! That is great! Congratulations. Congratulations Linda! What wonderful news and I can't wait to see it. Will it be published here? And gorgeous photo of you! Fantastic, Linda! I can't wait to get my hands on a copy. That is a beautiful photo of you. Ummm... WOAH! This is such fantastic news! I can't wait to buy it. Congrautlations, it is so well deserved. And nice site makeover, too. Congratulations. Ans also nice picture. YAY Linda! I can't wait to see it. I'll have it on my Christmas list for sure. Hot pic by the way! How exciting! Well done on the cookbook. Can't WAIT to get my hands on this. Congratulations. So well deserved! Wow what a fantastic idea and fantastic news!! So so many congratulations, I can't wait to see it. Wow - congratulations Linda - wonderful news. And what a great concept for a book. Can't wait to see it!